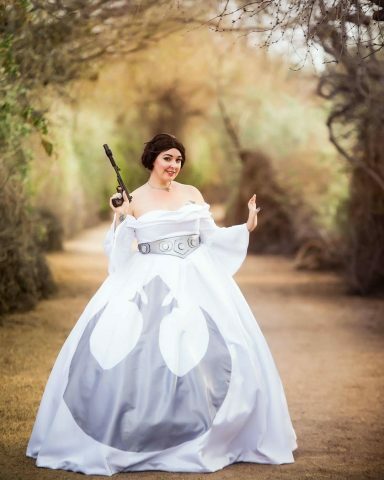 Princess Leia’s Dress Turned Into a Ball Gown « Adafruit Industries – Makers, hackers, artists, designers and engineers! Costumer and costume designer Geeksters Whimsy regularly outdoes herself with the costumes she makes. One of her first creations in 2017 put an elegant spin on Leia Organa’s white dress from the first Star Wars film, A New Hope. She sewed the stunning gown by hand, adding a silver Rebel Alliance symbol to the sprawling skirt. 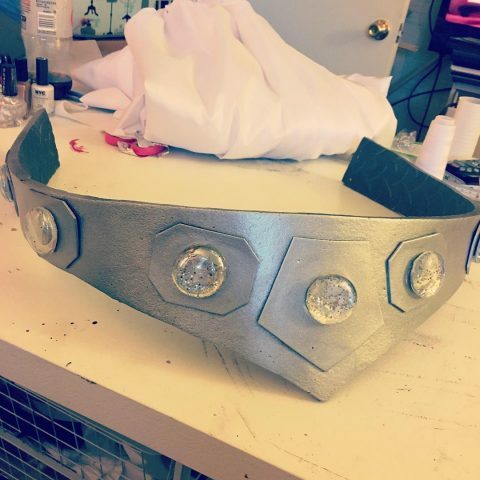 She crafted the belt as well, and it includes clear gem accents. 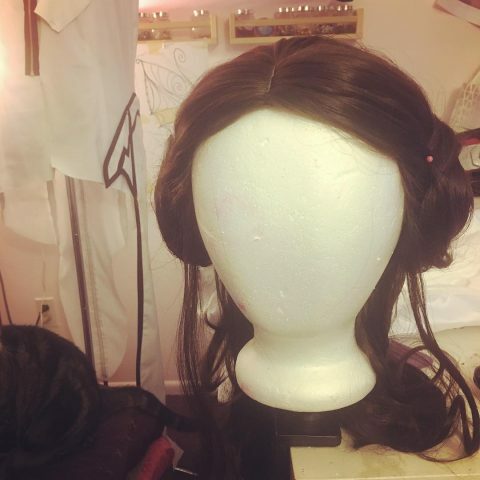 And of course, she designed the wig as well, too. You can see a few of the build photos below. 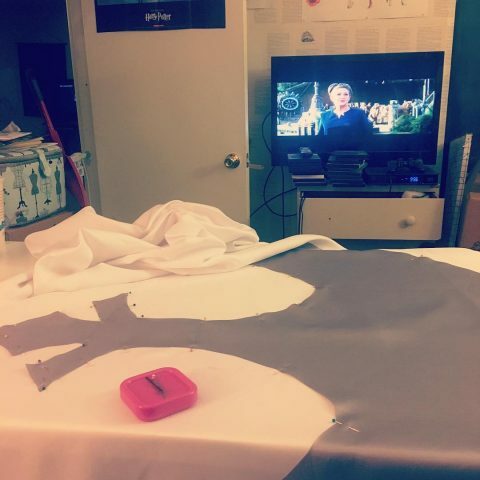 See more Geeksters Whimsy’s work at Instagram.